James’ programme focuses on climate and energy, refugees and humanitarian affairs, international development cooperation, peacebuilding and conflict resolution. Prior to joining Wilton Park, he spent nearly ten years advising legislators and senior policymakers on climate and energy policy as part of the secretariat of Climate Parliament – a global, cross-party parliamentary network. Earlier posts with the UN Development Programme and International Crisis Group, amongst other organisations, have provided experience of conflict-affected countries. His regional experience includes Africa – particularly the Francophone West and Mahgreb – as well as across Asia, including India and China. James holds an M.Phil in Development Studies from the University of Oxford. 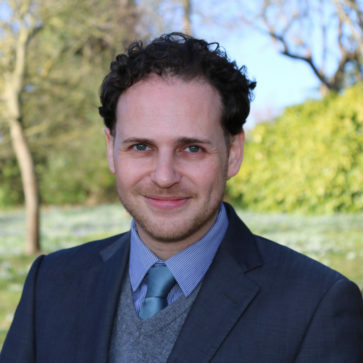 He also has a BA(Hons) in Theology and Religious Studies from the University of Bristol, and as such takes a strong interest in the role of faith and religious practice in global affairs.